1960s were quite prolific times at Ford. Despite its failed experiment with the Edsel sub-brand, Ford retained a healthy income and introduced plenty of new models. Some outcomes, like Ford Pinto, weren’t all that great. Some were rather brilliant, like Ford Mustang or Ford Bronco (why were all Fords named after horses?). You probably know enough about the Mustang, so let us talk about the latter. 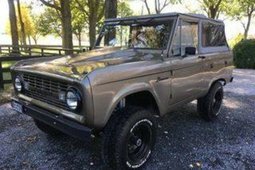 Conceived as a competitor for the rudimentary Jeep, Bronco was supposed to offer more creature comforts. 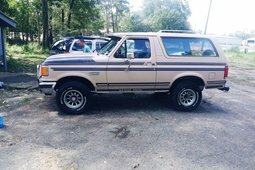 And it did, to an extent – Bronco had a more spacious cabin, a rather sophisticated coil spring front suspension and three synchronized gears. Not exactly a Range Rover, but that was a huge step forwards from the Jeep. Don’t start thinking that all these amenities made the Bronco a spoiled fashionable SUV incapable of doing any real work. 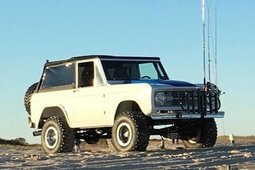 Buyers could order their Bronco with a snowplow, winches, air lift springs and auxiliary fuel tanks right from the maker. On top of that, Ford was the only automaker in the US which had a small block V8, Mustang’s 289, which fit in the compact Bronco body. Oil crisis was far in the future, so there could not have been a better engine to get the Bronco moving. More frugal customers could still get the 6 cylinder. With all these virtues, this minimal off-roader was more than ready to take on any adventure. And take on it did, Broncos raced in the first NORRA Baja 1000 race ever in the hands of Bill Stroope. Just like the name suggests, it was a 1000 mile race through Baja peninsula in Mexico, an incredibly demanding feat. Although Bill was confident the Bronco is the right platform for the task, the inaugural race revealed the 4x4 was longing for some modifications. Pretty soon, the car was lightened by removing anything unnecessary, stiffened by installing a roll cage and got some proper off-road suspension. With all these improvements, Bill Stroope and Parnelli Jones drove the Bronco to the victory of Baja 1000 in 1971 and 1972. Ford themselves were quite proud of that so they released commemorative Baja edition Broncos which are extremely sought after today. Albeit not selling as well as the Mustang, Bronco was most definitely a commercial success. More than 230,000 were sold between 1966 and 1977. The second generation model was built on the larger F100 chassis and thus ended up being considerably bulkier. The original charm was gone and these days the first generation models are most popular amongst collectors. But it was not always like that. Somewhere along the line, between 1980s and 2010s the interest in old Broncos had faded. 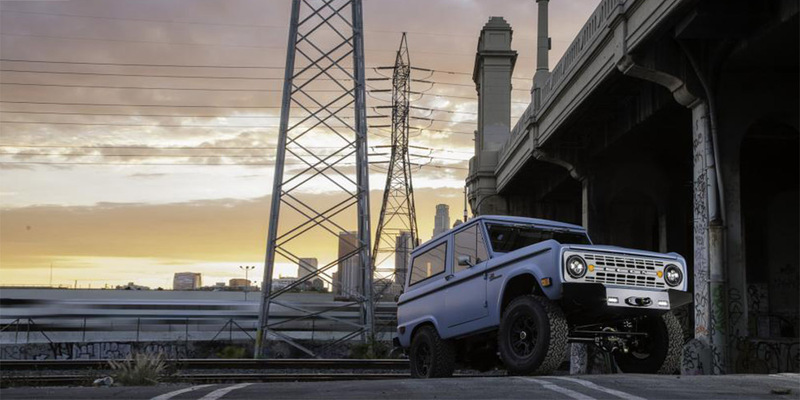 Recently, a boutique Californian outfit called ICON 4x4 began restomodding these senior off-roaders, and the whole world started caring once more. So much so that similar businesses restoring these cars started springing up around the US. Even Ford themselves announced to be reviving the Bronco nameplate to use on their new compact 4x4 in 2020. It is sweet that Bronco will live again, but I think I’m speaking for the most of us when I say we prefer the original.